PokitDok provides a software development platform to free, secure, and unify business data across the entire continuum of care. Its 30 API endpoints facilitate eligibility checks, claims submissions, appointment scheduling, payment optimization, patient identity management, pharmacy benefits, and more. 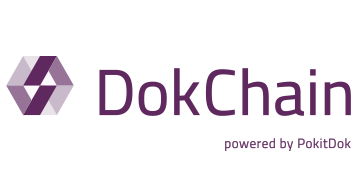 DokChain,an evolution of PokitDok’s platform utilizing blockchain and other distributed technologies, furthers PokitDok’s mission to enable the patient experiences, business models, and security that healthcare deserves. With DokChain, PokitDok seeks to remove even more waste from healthcare administration while enabling new value creation by healthcare and other industry stakeholders for the consumers they serve.